The Brazilian carnauba palm tree is one of the most diversely used trees in the world. It's best known for producing the eponymous carnauba wax that forms as a layer on the palm's viridescent leaves. You've heard of it, of course, by its more popular title: car wax. And believe it or not, it's in a ton of things you use every single day. *Don't worry: as recently as last year, the FDA has confirmed that carnauba wax is "generally recognized as safe," and is perfectly fine for human consumption. That said, it's still friggin' car wax. The coating of wax on everything from apples, to peppers, to cucumbers, to oranges, helps keep moisture in during shipping, and also makes your food nice and shiny in the grocery store. 2. Paper Yes, it’s the “wax” in wax paper. But it’s also on most paper. Car wax is used to control the shine of paper. Compare a basic sheet from your printer to one from a glossy magazine and you’ll easily see how much is used. It’s actually the primary use of carnauba wax in the U.S....even more than for our cars. Really, just about any candy with a hard and shiny shell has carnauba wax in it. Rubbing them on your car’s still a bad idea. You’ll usually find carnauba right alongside other oddities like turpentine. 5. Floor polish Wax is used as one of several ingredients in many industrial floor polishes because it’ll result in a relatively non-slip surface that’s also shiny and repels liquids. Well, unless you buy the unwaxed kind. 7. Tobacco pipes Traditional lacquer (i.e. for wooden furniture, etc.) tends to flake off as it ages. That's bad when you're setting things on fire and inhaling. Wax doesn't do that, hence it’s the polish of choice for your super fancy tobacco pipe. Lipstick and Chapstick might seem like no-brainers, but car wax is also used by many brands in mascara, eye shadow, and foundation. Basically, every type of makeup can be made with it. 9. Chewing gum Everything from Juicy Fruit to Eclipse have just a hint of carnauba in it. Just before yellow no. 5 is the reason your favorite fruit chew tends to have a waxy appearance. As early the 1960s, surfers noticed their boards went faster if they polished them with carnauba, and that they had better grip, too. 12. Sunscreen If it’s made with natural ingredients, sunscreen with car wax adds water resistance to the mix. 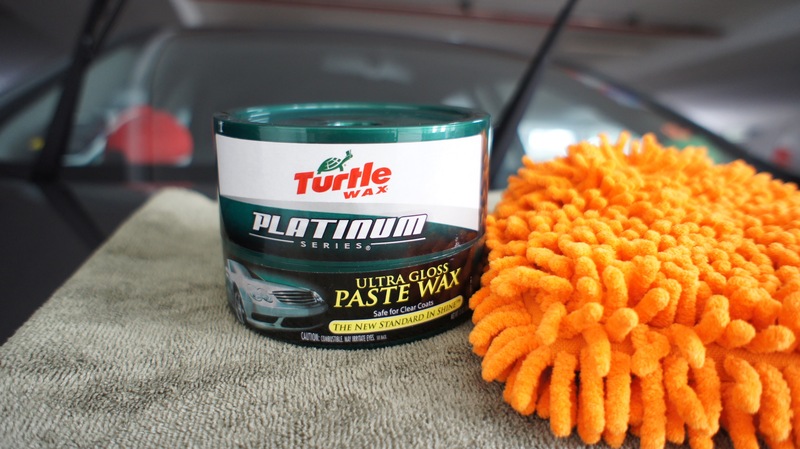 This really shouldn’t be too surprising, since the wax lends a protective coating and a nice shine, just like you want on your car. Yep, wax helps blow things up. It’s used in what’re called castable explosives, which are the kind you’ll find in a hand grenade or a land mine...and also the earliest atomic bombs. 15. Knives It’s used both as an adhesive to help keep the blade in the handle, and as a protective coating for the handle itself. This is the same principle as the M&M coating. Wax is applied to the pills as a final step in their production, to make them easier for you to swallow. 17. Semiconductors When making a bunch of semiconductors, an aerosol from of the wax helps each one consistently break free of its mold, speeding up the production time, and reducing the chance of damage. Aaron Miller is the Rides editor for Supercompressor, and can be found on Twitter. He gave up carnauba over a decade ago, and still can’t escape its shiny grip.